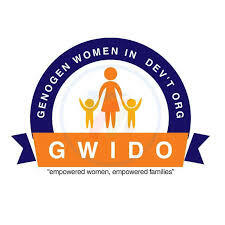 Genogen Women in Development Organisation (GWIDO) is a community-based organisation (CBO) working with women in Nebbi District. Championed by Roseline Nyakwo, who noticed that more and more women and girls approached her for training and that many who had passed through her training had been successful. GWIDO runs an apprenticeship programme for 4 months through which women and girls are trained in tailoring, knitting, and designing of garments. The organisation targets to enroll more women every year and has expanded the curriculum to include life skills and basic entrepreneurship training. Initially, the Organisation started as a merry-go-round where members would contribute funds in a rotation to a person. This grew to a more formalised savings scheme where the group would contribute funds on a weekly basis and share out at the end of the savings cycle, with members acquiring loans during the savings cycle. Improved self-reliance of women and out of school girls’ project builds the institutional capacity of Genogen Women in Development Organisation (GWIDO) promoting self-confidence and self-reliance amongst women and girls in the community. Capacity building will be through training 5 staff and 60 beneficiary women and out of school girls in the community on life skills, financial literacy and basic entrepreneurship. Skills development for self-reliance will be achieved through vocational skills training in the areas of tailoring, knitting and designing.